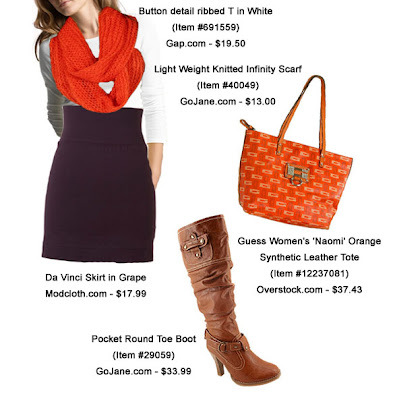 Clemson Girl: Quick Poll: Would you wear this Clemson gameday outfit to the ACC Championship game in Tampa? Quick Poll: Would you wear this Clemson gameday outfit to the ACC Championship game in Tampa? After yesterday's disappointing loss, how about a little retail therapy? Click here for the infinity scarf. Click here for the purple skirt. Click here for the round toe boots. Click here for the orange handbag.